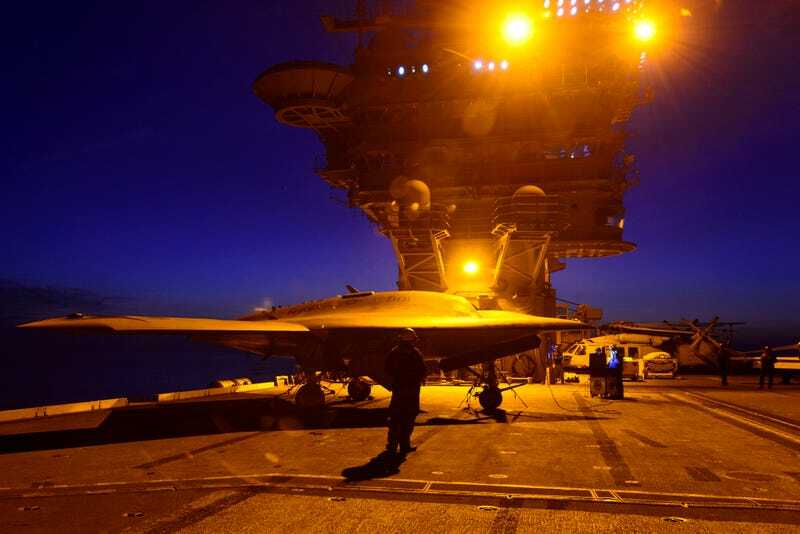 This looks like a scene from a sci-fi game or movie, but it's actually a photo from one of the latest tests of the X-47B unmanned combat aircraft on board the USS Theodore Roosevelt. The US Navy is getting really close to the future, people: Combat drones launched automatically from motherships. The Navy's X-47B completed its final test aboard USS Theodore Roosevelt (CVN 71) Aug. 24 and returned to its home base at Naval Air Station Patuxent River after eight days at sea. According to the Navy, everything went flawlessly.